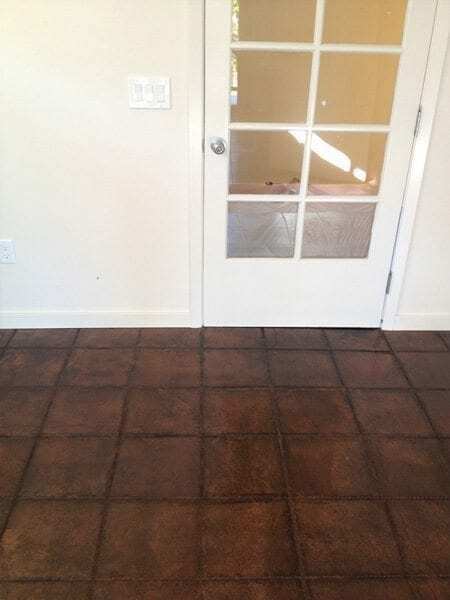 This dark brown tile pattern concrete stain was created by stripping away the existing floor coating and then applying a water-based concrete stain to a stenciled tile pattern surface. Remove coating off of existing integral concrete floors. Dark brown stain and seal completely changing appearance of this floor.